Family home with period charm. 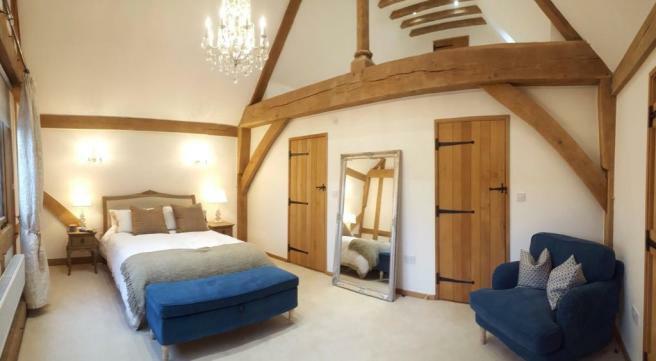 5 bedroom detached gated property in Virginia Water featuring oak beams. 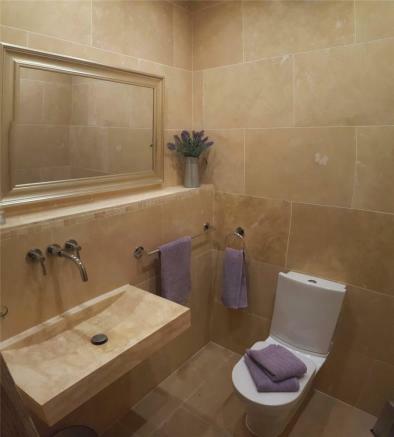 The property is situated in the village of Virginia Water which has a range of shops for daily needs, a choice of restaurants, and a station serving London (Waterloo). Transport links are good with the M25 (J13) accessing the M4, M3, Heathrow, Gatwick and central London. There is a range of independent schools in the area, including St John Beaumont, Papplewick, The Marist School, Eton College, St George's and St Mary’s Schools in Ascot, and The American Community School in Egham. Recreational facilities locally include golf at Wentworth, Sunningdale and The Berkshire, racing at Ascot and Windsor, and polo at Smiths Lawn. Other local attractions include Virginia Water Lake and Savill Garden, Windsor Castle and Legoland. 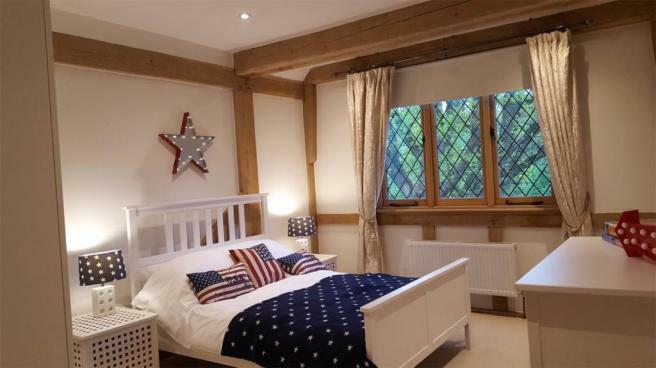 This 5 bedroom detached property set behind electric gates with ample off street parking overlooking fields in Virginia Water offers attractive features including oak beams and vaulted ceilings. 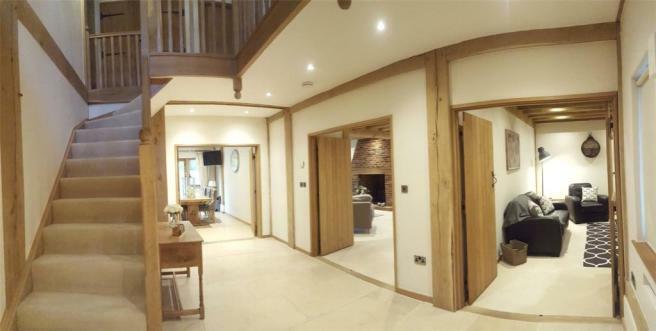 The entrance hall leads to a large reception room and kitchen/dining/family room both having direct access to the south facing garden. 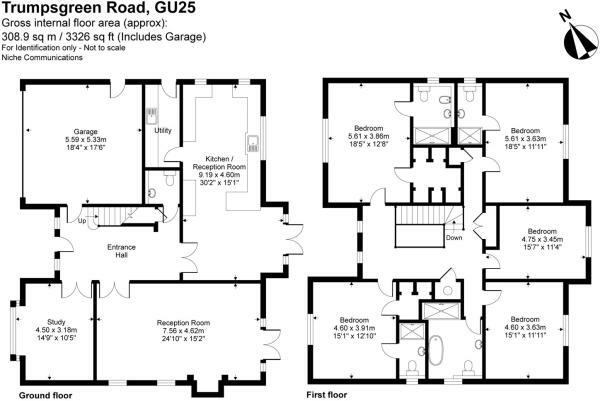 There is an additional reception room, utility room, cloakroom and access to the integral double garage. 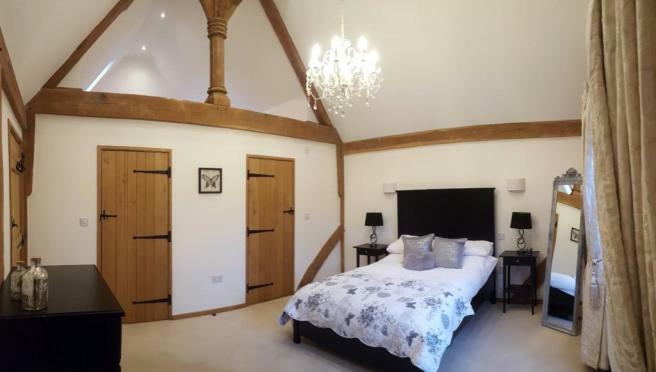 The first floor vaulted landing leads to 5 bedrooms, including the Master with en suite bathroom and dressing room, additional bedroom with en suite shower room and dressing room, 3 further double bedrooms one with en suite facilities and a family bathroom. (Furnished by negotiation). 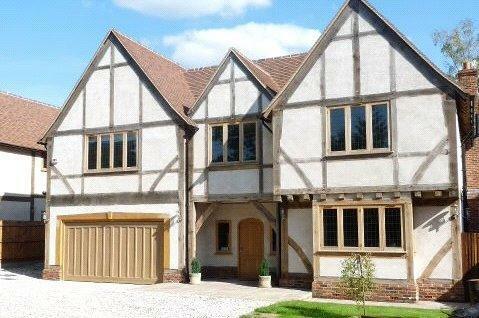 This property is marketed by Savills Lettings, Sunningdale at £5,795 per month. Rightmove has calculated the price per week for comparison purposes only. Property reference SNL160048_L. The information displayed about this property comprises a property advertisement. Rightmove.co.uk makes no warranty as to the accuracy or completeness of the advertisement or any linked or associated information, and Rightmove has no control over the content. This property advertisement does not constitute property particulars. The information is provided and maintained by Savills Lettings, Sunningdale.